The ITTF Administration Course has been prepared under the philosophy of ITTF Developing National Associations, and provides users with the opportunity to undertake self-learning, with targeted modules and topics, specifically written to assist in providing better administration for National Associations. However, the course is not only limited to National Associations, but is appropriate for all table tennis administrators, whether at National or Club level. The key areas of education focus around the following modules - Governance, Finance, Working with Partners, Human Resources, Organising Competitions, Marketing & Promotion, and Values. The course educates users in 60 topics, and includes 18 hours of self-learning. The course can be completed at the users own pace, and users can target their learning towards specific modules, or users can aim to complete all modules to receive a more wholistic understanding of how administration of table tennis takes place. Either way, successful completion of individual modules, or the overall course, will assist in providing a variety of new skills and knowledge. 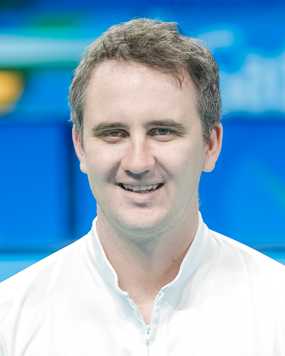 Michael Brown has developed the ITTF Administration Course to assist National Associations to improve their understanding, and ability, to better administrate table tennis within their country. Michael's first introduction into administration of table tennis was through a 100-day Development of the National Sports Structure course in the small Pacific Island nation of Kiribati, in 2011. Prior to working within table tennis, Michael completed a Bachelor of Business, and was employed by a global leader in professional services. In 2012 he commenced full time work as the Oceania Development Officer, and in 2015 also began managing the Africa Development Program. Through his experience in both Africa and Oceania, Michael has a very good knowledge of the difficulties faced in the developing world, and has looked to tailor this course to be accessible, and relevant, to all National Associations around the world. Raul Calin, Jonny Cowan, Francoise Dagouret, Steve Dainton, Joachim Davy, Judit Farago, Daniela Gomes, Remy Gros (photos), Chuck Hoey, Karl Jindrak, Kimberly Koh, Leandro Olvech, Matt Pound, Christoph Stelzer (video), Glenn Tepper, Caifeng Yang. ITTF would like to thank Stag for their support in providing incentives for National Associations to complete the ITTF Administration Course. Stag are providing equipment packages, including 6 tables and nets, 80 rackets and 8 gross balls, to the National Association which is the first to have 10, 50 and 100 users complete the course. Each National Association is entitled to a maximum of one equipment package.